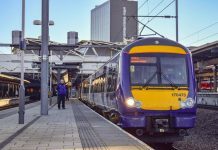 Built for hauling a variety of train types across tracks which could only handle light axle loading, the N Class helped the South Eastern and Chatham Railway (SECR) replace older engines and reduce the need for double-heading. Once retracing the working lives of the class, we will then follow the preservation story of the Sole Survivor. Soon after his arrival as Chief Mechanical Engineer on the SECR, Maunsell got to the task for designing a new mixed traffic engine. 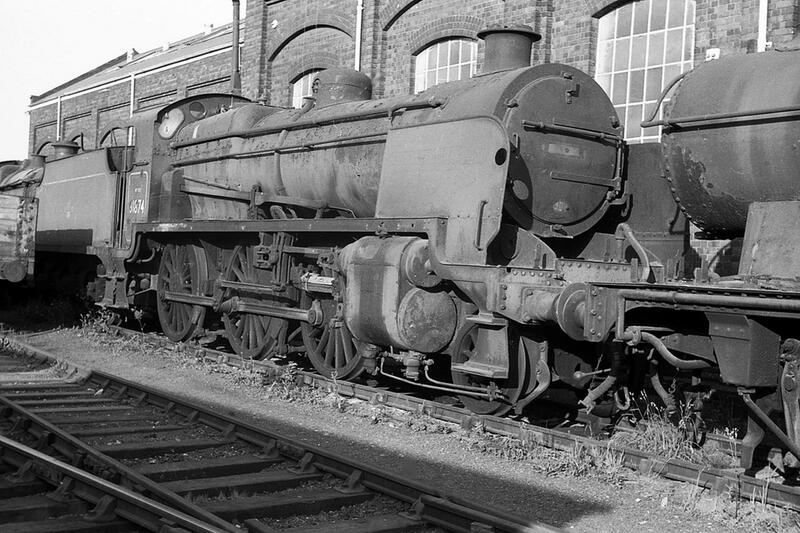 The new class would replace older engines of both 0-6-0 and 4-4-0 due for scrapping. Another issue to consider was the track infrastructure, which in places had poorly built bed and poor tracks themselves. To assist him in the project, Holcroft from the Great Western Railway was employed. On the GWR in 1911, Holcroft helped to develop the 43XX Class, which used the 2-6-0. This wheel arrangement was chosen for the new class, as the leading pony truck would provide more stability and also allow for a bigger, heavier engine. A few other features Holcroft brought over from the GWR was the Belpaire firebox and long-travel valves. Clayton, Chief Locomotive Draughtsman at the SECR, brought some Midland Railway designs into the new N Class. These included cab shape and drumhead type smokebox. Along with updated features such as a screw reverser, the full drawings for the N Class was completed in 1914. World War 1 put the project on hold for a few years, until 1917 when one engine was completed at Ashford Works as a prototype. After successful tests, an order was placed for the first batch of 15 engines in 1919, with the first engines of this batch entering traffic the following year. 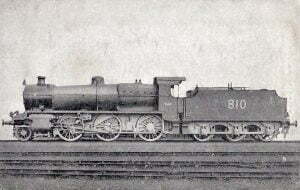 The basic dimensions for No.810 (prototype engine) as built include: 2-6-0 wheel arrangement (coupled wheels – 5 foot (ft) 6 inch (in), leading wheels – 3ft 1in), boiler pressed at 200 lbf/in2, two outside cylinders (19 in diameter and 28 in stroke), total weight came in at 103 long tons and tractive effort of 26,035 lbf. The Ministry of Supply order 100 N class locomotives to be built in 1924. While 50 of these were brought by the Southern Railway (SR) (A826 to A875), the other 50 were purchased by other railways. Of these 33 would end up being built and used on a few railways, and the remaining 17 were later brought as parts by the SR for use on other classes. In July 1932, the first engine from the last batch of N Class locomotives entered traffic on the SR. In total 15 engines were constructed in this batch, they were designed to run across all three sections of the SR, which included pairing with 4,000 UK Gallon tenders. Although increasing range the tenders had a right-hand drive layout, which clashed with left-hand drive cab configuration. The N class proved to be effective on the challenging sections of the SECR, which later became the Eastern Section of the SR. Routes such as the Tonbridge and Reading one had become difficult for 4-4-0s and 0-6-0s, with the N class being suitable engines on this line. With the formation of SR, the class spread onto areas of Western and Central Sections but were barred from some lines as they were too tall to run (Later engines were shortened to increase route availability). 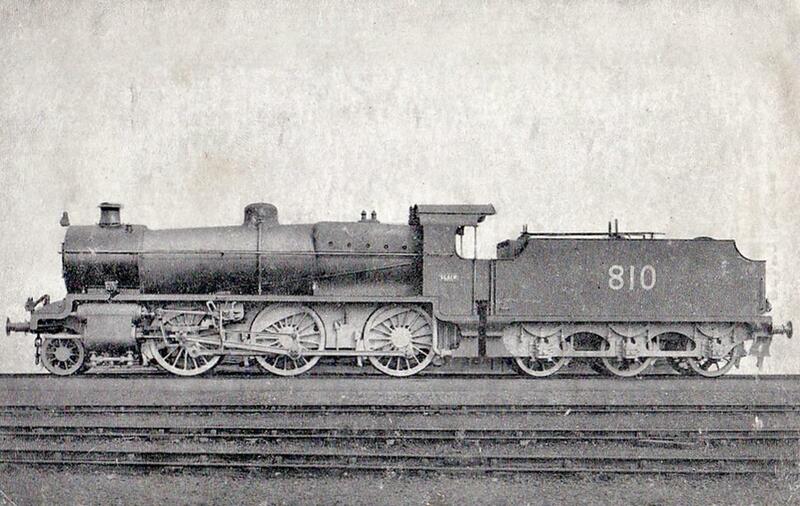 From the first batch one engine, No.822, was chosen to become the prototype for a new class, the N1s. 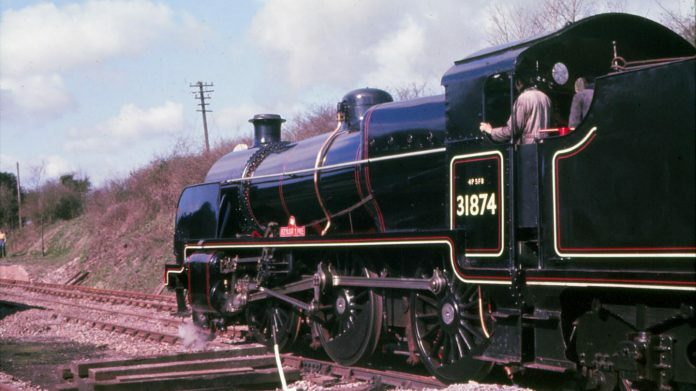 The biggest difference between the N and N1 Classes was the use of a 3 cylinder layout with a variation of Gresley conjugated valve gear on the N1s. Tractive effort was increased by 1,660 lbf but overall performance was very similar to the N class. Using the 3 cylinder arrangement did reduce the width of the locomotives, increasing route availability. Another five engines were built after 822, none survive today. Trials have been made with the Stovepipe chimneys to improve draughting and therefore steaming but no significant increase in performance was noted. 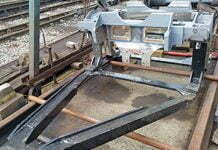 Better support to the valve gear was achieved by fitting a second slidebar which was tried on 825. Many trials in new equipment or features were tried out on the class over the years. 1924 saw a Worthington feed pump fitted for three years to No.A819 and 1933 was the year No.1850 appeared with J.T. Marshall valve gear for test. The pump showed good results, the valve gear failed mechanically while on a test run, with it being removed during repairs to 1850 shortly after the failure. It was during the Mid-1930s under Southern Railway that changes to original design occurred. 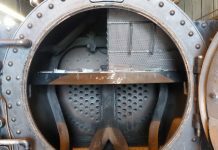 Changes to the original design, such as new boiler domes, were done to standardise parts across the three batches, rather than to improve the class. 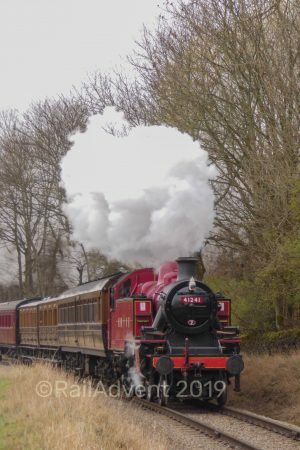 Like many other classes, smoke and steam impairing the driver’s vision saw smoke deflectors and different type chimneys to be fitted to the engines. 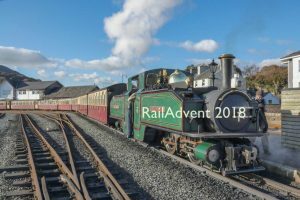 Again, under BR ownership, different chimneys were tried with the class, this time the style fitted to the Standard Class 4 locomotives which improved the N Class’ economy on coal and water. The introduction of new types of traction and newer steam engines saw the gradual scrapping of the class. From the late 1950s onward, the Southern Region of BR saw many routes become electrified, with diesel being introduced too. The N Class first started being removed from traffic in November 1962. With less work for the remaining steam locomotives, the older engines were withdrawn first. Being built from as early as 1917, many N Class engines had run high mileage and needed heavy repairs. 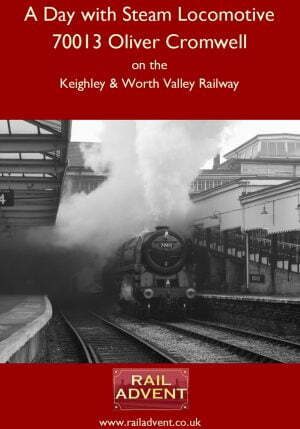 Newer engines, such as the BR Standards and Bulleid Pacifics were chosen over N Class locomotives to see out the final years of BR steam. 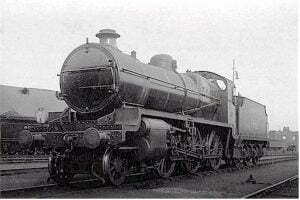 One member of the class, No.A874 (original number) survived the mass scrapping of steam locomotives. A874 was purchased by Woodham Brothers scrapyard in Barry, Wales. The fate for most engines where was good, as the yard didn’t cut up most engines and focused on wagons. Although being left exposed to the harsh external environment of Barry, most of the locomotives could be restored to working order. For A874, The Swanage Moguls Fund was formed and brought the engine in the Early 1970s. 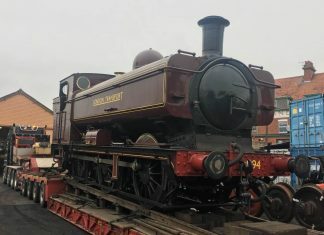 After an impressive two and half year restoration, now numbered 31874 (BR number), it was ready to haul the first train along the newly-opened Mid Hants Railway (MHR). 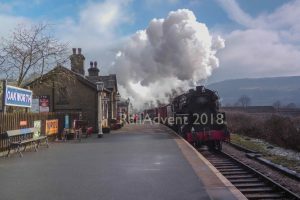 While on the MHR 31874 hauled both normal train services, taking part in galas and being repaired red to appear as “James” from Thomas The Tank Engine. 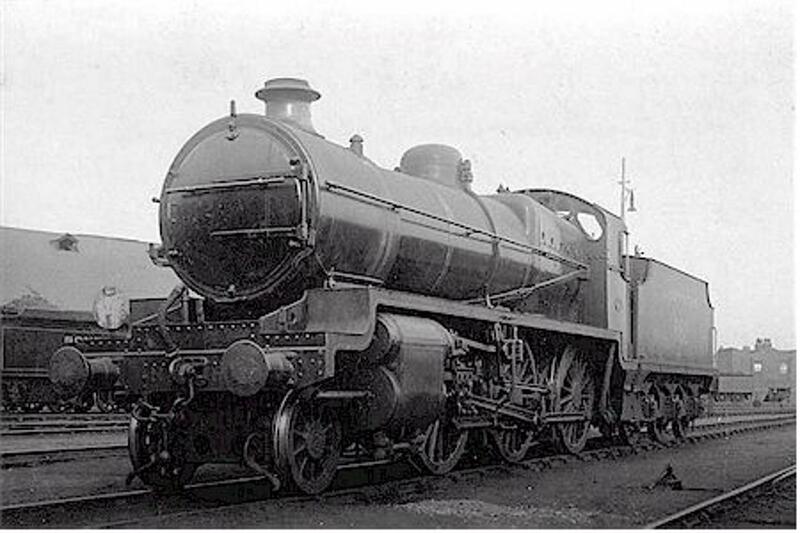 In order to allow U Class No.31625 (Also owned by the Fund) to meet mainline standards, its boiler was swapped with 31874. 1998 saw the N Class withdrawn pending overhaul, which after some examination, showed that 31874 needed to major repairs to both boiler and frame. 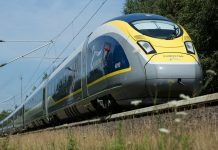 With the overhaul likely to be costly, possibly uneconomically viable, the decision was taken to store 31874 at the MHR. By 2014, the N Class was still stored but was being prepared to move to a new home, the Swanage Railway. Shortly after arrival at its new home, 31874 entered Herston Works to undergo its long-awaited overhaul. The issues feared in the late 1990s are easier to rectify now. 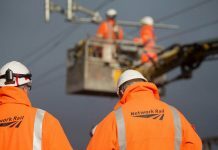 Two years into the overhaul the Fund was pleased to announce funding had been secured to pay for mainline equipment on 31874. 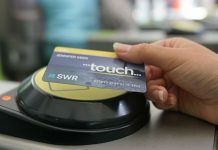 Although brilliant news, the Fund still need to raise the necessary finances to pay for the overhaul. 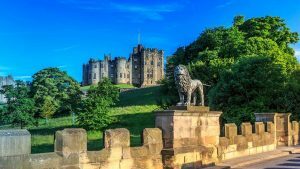 They estimate £400,000 will be needed to due to nature of repairs needed. The Swanage Moguls Fund would greatly appreciate donations of any amount to help see the only surviving N Class return to steam on both heritage railways and mainline. If you would like to find out more information or to support the overhaul of 31784, please visit The Swanage Mogul Fund’s website here. We hope you have enjoyed this week’s Sole Survivor and apologies for it being published later than usual. Next week will see the next instalment of the Lost Class series.